Soh Rui Yong is currently an undergrad at National University of Singapore. Notable performances from Singapore athletes competing at the final day of the 16th ASEAN University Games 2012 are our distance runners. Three of them, Look Xin Qi, Soh Rui Yong and Soh Hua Qun not only ran a season-best timing ran by a Singaporean this year in their respective events, but the three also clocked personal bests. 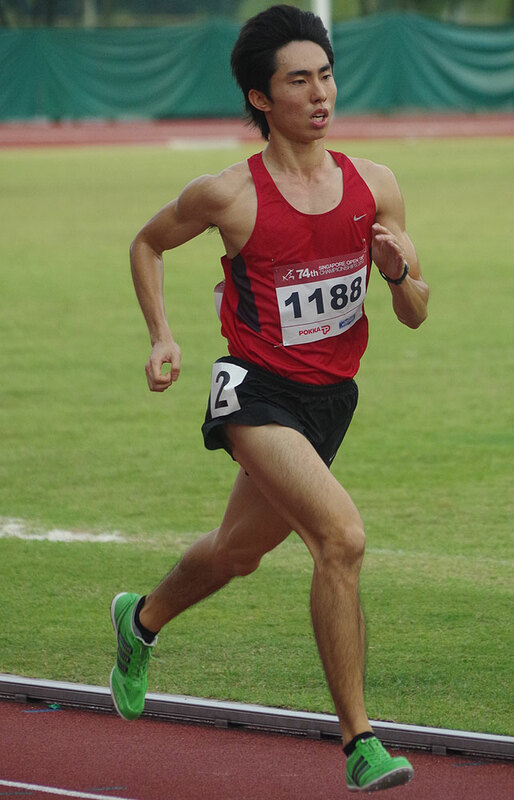 In particular 21-year-old Soh Rui Yong completed his men 10,000 metres race in 32:26.00 minutes which puts him #2 on the all-time list of best timings ran by a Singaporean in the event; that is SAA sanctioned. The last time a Singapore athlete ran a sub-33 minutes effort in the 10,000 metres event was in 1990 by Syed Ahmad Taha (32:41.7 min). SAA file photo. Photographer: Wilson Ong.